Writingessayeast.com is a very recently opened writing company. This is the reason why students cannot find much about them online, which presents an additional difficulty in determining the reliability of the writing service. Thankfully, there is no necessity to take risks and order from a company you know nothing about. To make things simpler, we gathered all the information you need in this writingessayeast.com review. Even though a list is not existent on the site, you will be happy to see a huge offer in the ordering section. This can be misleading for students because of the name of the company. But, you should know that, even though Writingessayeast has a name that suggest they have one paper to offer, the list is much bigger. On top of all academic papers in this list, Writingessayeast also offers business writing and content writing for speeches and synopsis. This is excellent news for those who need help often since ordering from a single company can bring many benefits if they have a loyalty program in place. A loyalty program exists here, but it is not satisfactory. As a regular of Writingessayeast, you get either 5% or 10% discount, but only when you spend $500 and $1000 on the site, respectively. It would be better if this were a lifelong discount, but it is actually a one-time offer, so we wouldn’t really call it a loyalty program. New customers get a better shot at a cheap price – 15% off their first order. But, if the order exceeds that amount of $500 or $1000, discounts are not combined. Despite these tricky and hard-to-reach discounts, the prices are quite cheap here. 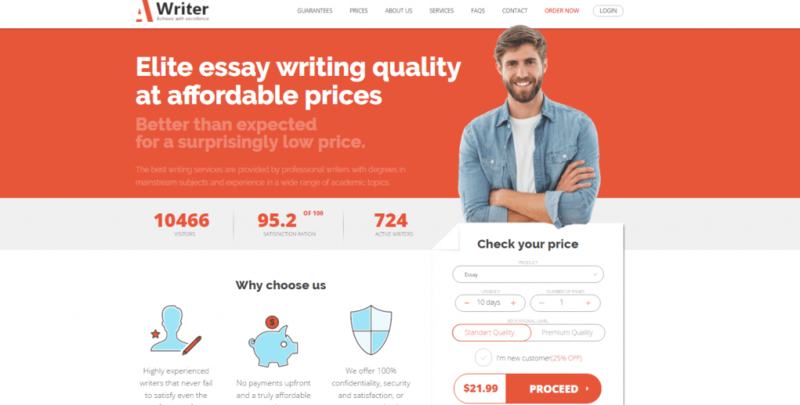 Undergraduate can order their papers at a rate of $9.97 for a page to a rate of $41 for a page; bachelors from $16 to $45, Professionals from $19 to $56, and admission papers are ranged from $41 to $197 per page. These are all nice prices when compared to the rest on the market, but the discount programs definitely need improvement if the company wants to attract regulars. Most cases where pricing was as low as here turned out to result in bad content quality. The reality is as follows – to be able to offer a paper at less than $10 for a page, a service must work with non-native English writers. If they work with the experienced team mentioned on this website, they could hardly offer such rates. This was also the case with Writingessayeast.com. We regretted making a purchase not just because of the poor discount policy, but also because of the low paper quality and numerous mistakes that pointed toward non-native writers. After our complaint with the customer support, we received one free revision. This revision came fast, but did not change our mind about the quality of content here. There are some benefits when you order from writingessayeast.com, that’s for sure. However, low paper quality beats big services list and low prices, especially since in this case, it is also combined with a poor discount program.